Many of you might recognize Danny from the disc golf videos he's been producing on YouTube, and he's once again bestowed upon us a gift of content that's valuable for nearly every player out there. In two separate videos, he analyzes and breaks down the form of both Eric Oakley and Paige Pierce. Here's what he had to say! Danny, like most, couldn't talk about Eric's form without commenting on how unique it is. Despite being unconventional, it's proven to work well for him time and time again. When you get down to it, the mechanics of his throw are spot on, allowing him to get tons of distance. Eric is able to get maximum reach back with his arm placement and has his timing down perfectly to execute the hop in his step. One thing that Danny notes is that pulling your disc higher up through your neck like Eric does might result in a loss of power for some, but that's obviously not the case here. Also, pay attention to your footwork and make sure you're lining up your feet correctly based on the shot you're throwing. Check out Paige's drive here! Paige does a lot of things right with her form, which pays off with maximum distance and earning her multiple World Championships. Danny notes that she has a great way of utilizing her whole body to create a ton of power based off of rotation alone. If you take a look at her reach back, you'll see that her shoulders are both pointed completely away from her target. 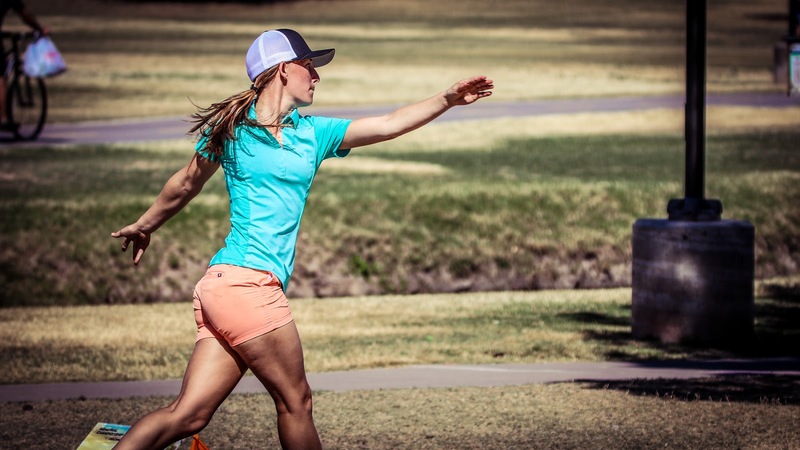 Paige holds on to her disc as long as possible to create the most leverage and get max distance. Be careful to really pay attention to how you shift your weight when you throw. While Paige tends to keep some of her weight on her back foot when releasing, you might find you can throw farther when you fully transfer your weight to your front foot. We love being able to break down the pro's form with Danny, as it helps amateur and professional players alike get a better understanding of the mechanics of the game.